Japan | Where is Paperwoman? It seems the classical way of wrapping with square cloths, called furoshiki, has been a noteworthy, recent trend, and rightfully so. 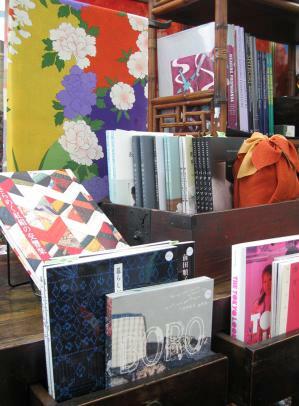 Wrapping with reusable and artfully printed fabrics is an environmentally-friendly custom, which has finally come to the west after centuries of use in Japan. The appreciation I have for all sorts of Japanese textiles led me to this site, Ziguzagu,(Japanese for “zigzag” ) a store in Melbourne. Check out their library; I was happy to see I own several of the books listed. 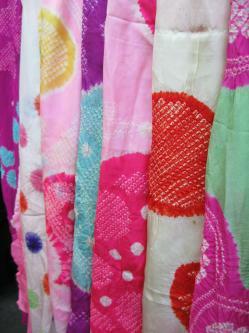 And check out their assortment of other textiles, like these shibori scarves. Anyone heading to Melbourne soon? Coming soon to our sister store PaperNado– hand-printed furoshiki & tenugui; please inquire at Paper Connection. Great last minute holiday wrap and present in one! 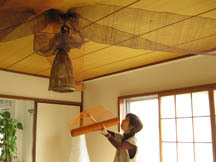 Large Furoshiki with Japanese lantern. 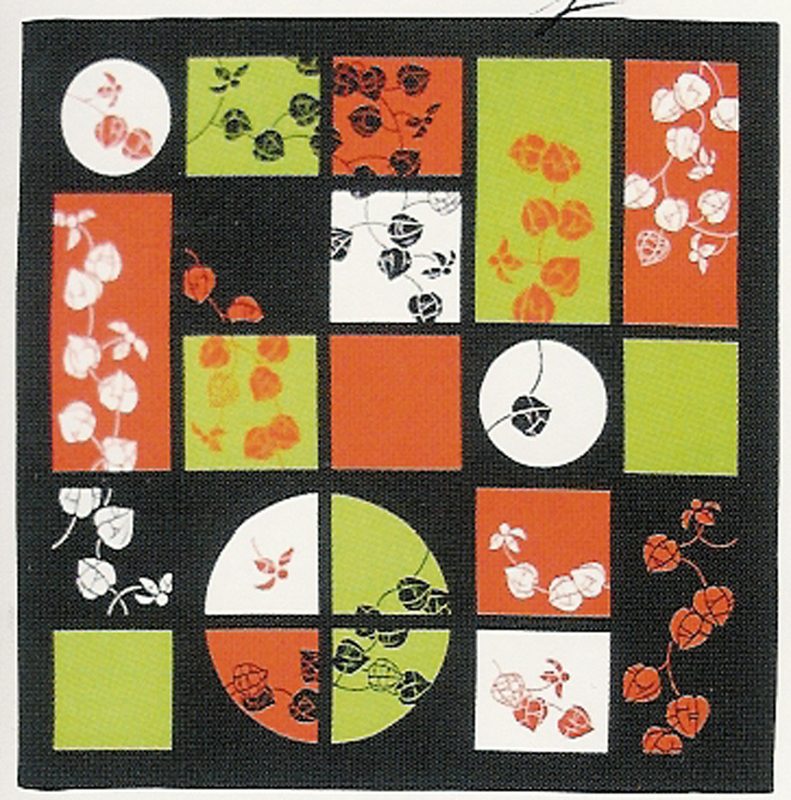 Tenugui with Camelias and Snow. 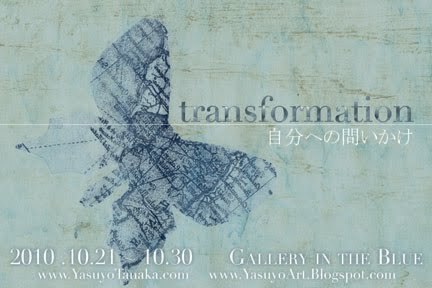 A couple of weeks ago I blogged about my friend Yasuyo Tanaka and her first solo show here in Japan. I spent 3 days with her, her art and delightful artist friends up in Tochigi Prefecture. Without a doubt it was the highlight of my time here in Japan. Yasuyo’s work is superb, her workshops so informative and her enthusiasm and energy to teach, learn and live is deeply impressive. 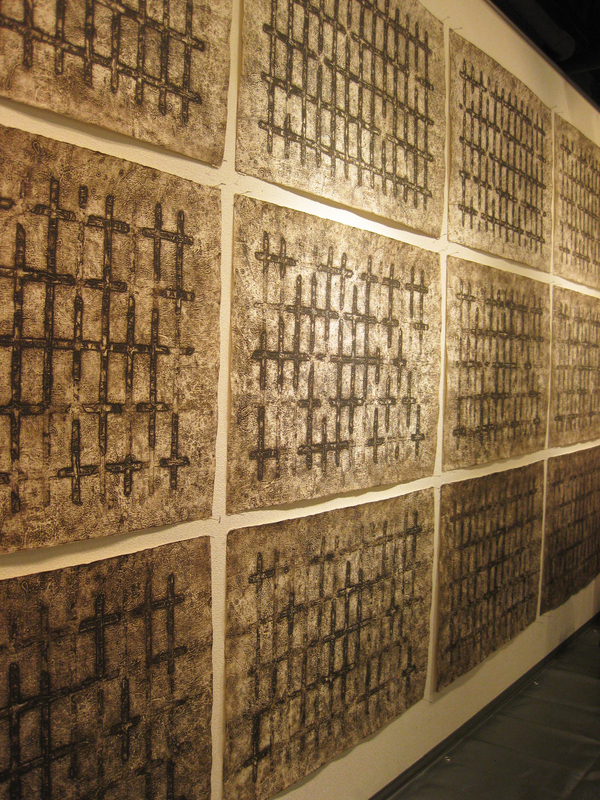 The photo below shows the back wall of the Gallery in the Blue covered with her collagraph “grid” prints. 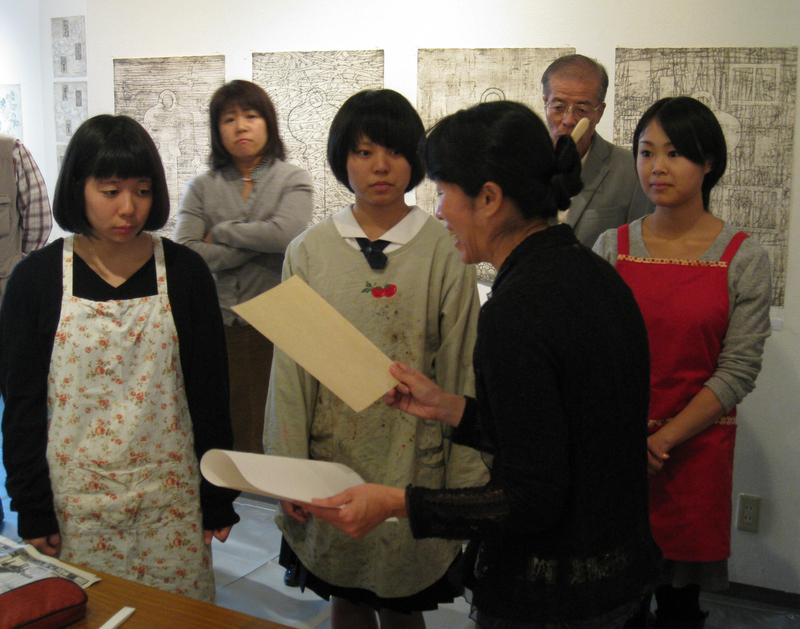 Below a photo of Workshop Day 1; Yasuyo explaining grain direction at the beginning of her suminagashi workshop in the Gallery in the Blue. Looking forward to this weekend, where I’ll be in a room full of art lovers, paper artists and probably some fellow paper junkies. Chigiri-e literally means torn paper collage. Chigiri (pronounced with a hard “g”) and e (pronounced like “ay” as in “hay”. 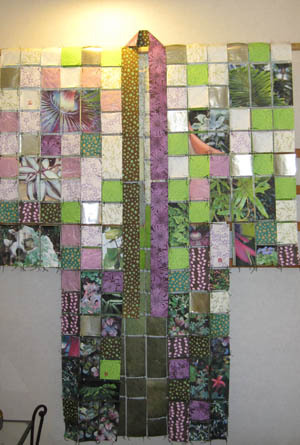 Chigiri is the noun form of the verb “to tear” and e is any kind of art picture: collage, painting, drawing, etc. When you see one of these detailed collages in person, it’s hard to believe the image is nothing but paper. 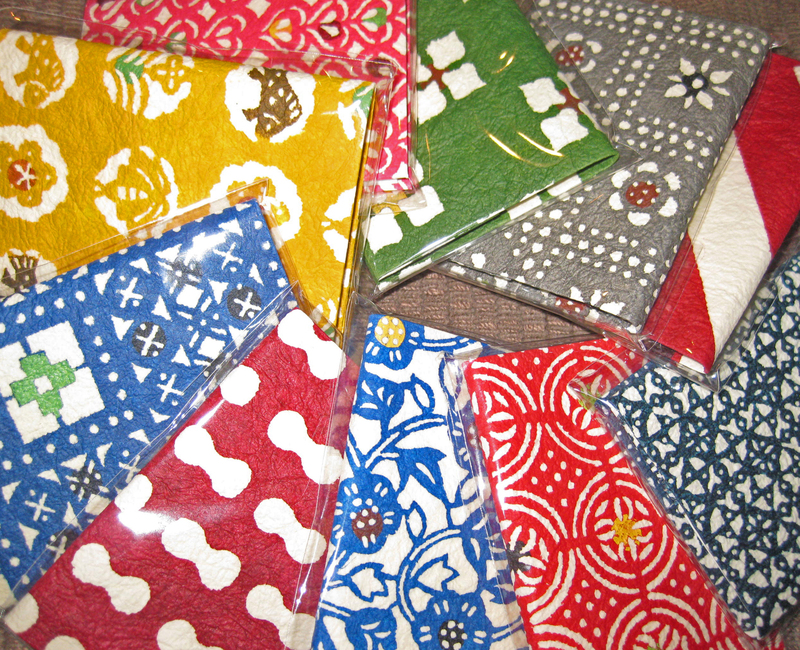 Of course, not just any paper, the process will work best with washi– Japanese paper. 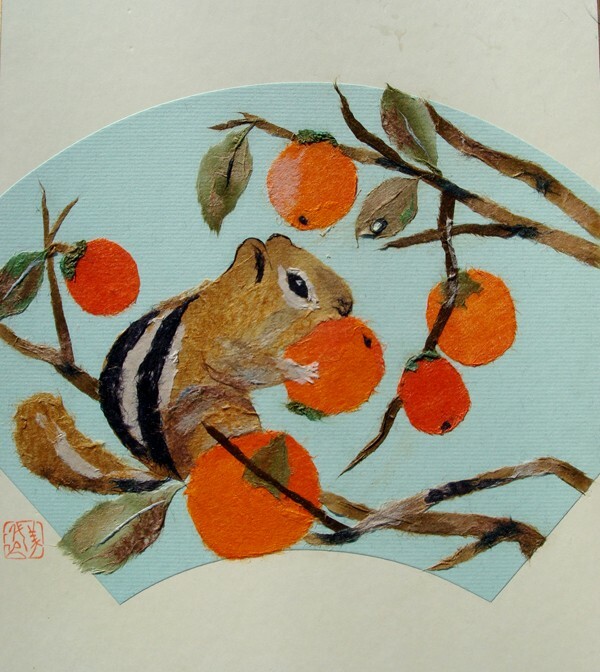 Check out this Chipmunk Chigiri-e by Etsy artist: Michiko Yoshida. Traditionally scissors are not used (but are not prohibited!). Washi torn by hand produces a soft edge, ideal for blending colors and creating a 3-D effect. Pulp Painting is the bigger category and chigiri-e fits into this English term. There are many techniques of “painting” with pulp. Two highly-respected paper artists,(not just by me, but all over the world), whom I know from my days in Boston are, Joe Zina, famous for his stunning floral paper “paintings” (click to his name to see one image) and for co-founding Rugg Road Paper Company, back in the ’80s, and Michelle Samour, who teaches, writes and takes pulp painting in yet a completely different direction; a completely new latitude. Wouldn’t you love to BANK here? Yes, it IS a bank. 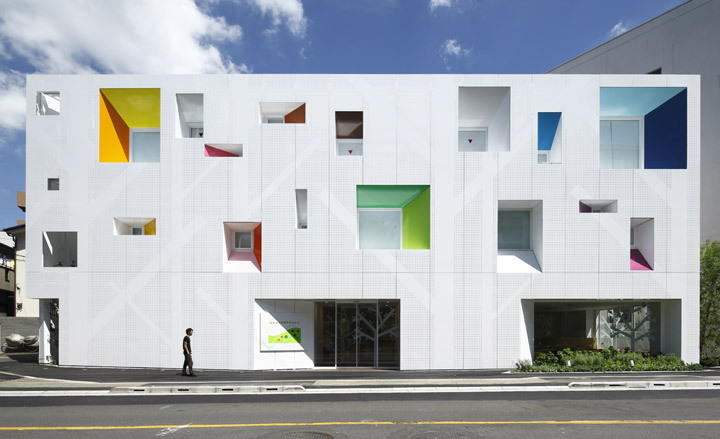 It’s the Tokiwadai Branch of the Sugamo Shinkin Bank, designed by Emmanuelle Moureaux. I love how there are no signs that is a bank. Unless you were a client here, you wouldn’t know. What a great security measure! Another Japanese tradition that uses paper! 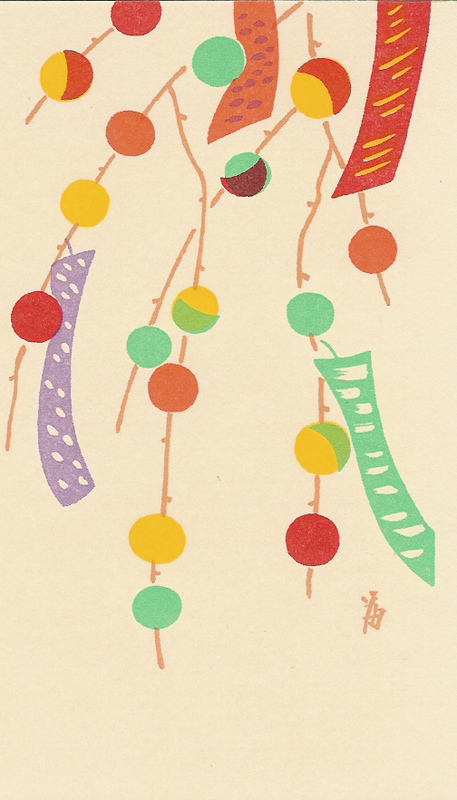 July 7th is when the Tanabata or the Star Festival ocurrs in Japan. This event is based on a Chinese legend, in which, Kengyuu (the star Alter) meets Orihime (the star Vega) only once a year on this day over the Milky Way. People celebrate the legend by putting up big branches of bamboo with colorful decorations in their homes or out in public places. They write a wish or prayer on a strip of paper and hang it from a green bamboo branch. 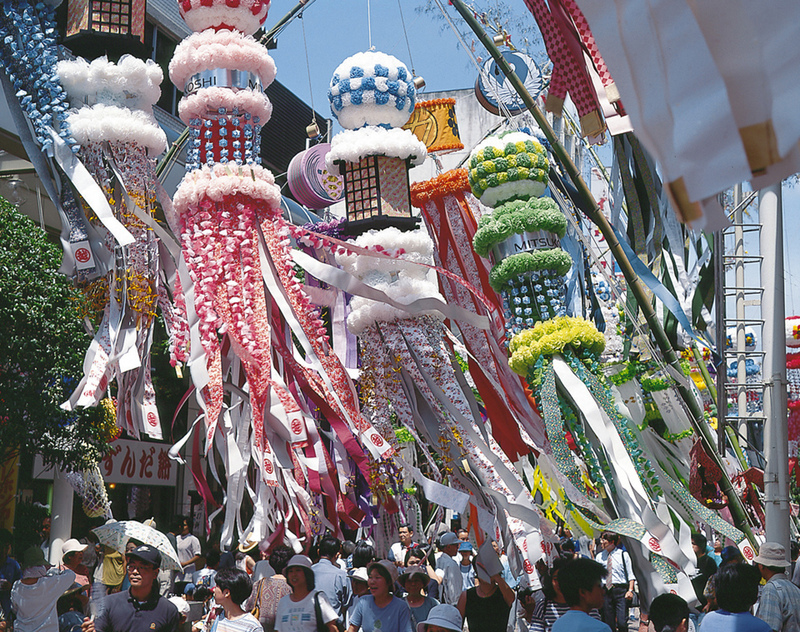 Many cities, such as Sendai and Hiratsuka, also celebrate this event by rigging up huge green bamboo branches in the main streets, and then hang elaborate paper decorations from them, which causes them to bow low to the ground. See photo above. Still not sure which is which: Japan or the USA, but the timing seems just about right to depart from one home or the other. My other self gradually gets unpacked upon arrival: paperwoman: the (mainly) researcher in Japan and paperwoman: the teacher/marketeer back in the US. Now, I’m between homes.. this week here in the Lone Star State: Texas Nonetheless, I won’t be a “lone star”! 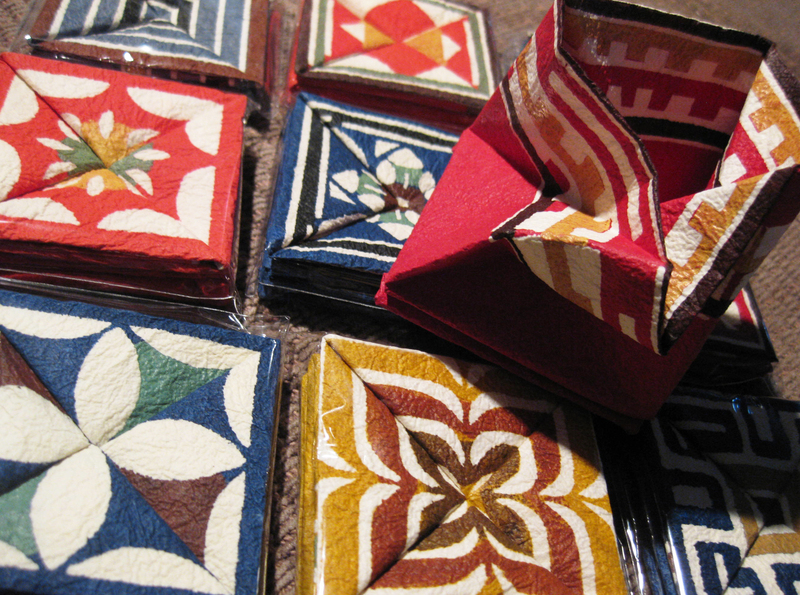 Together with my long time client and friend, Joan Son; an amazing paper artist, both morning and afternoon on March 4th in Houston I will do a talk and slide presentation on how Japanese paper is made: From Fiber to Finish, followed by an Origami Demo by Joan, at Texas Art Supply on Montrose: www.texasart.com. Yesterday, I saw Joan’s incredible paper robes in person at her studio- unbelievable! and she used our exclusive Laurelai Designs in this stunning piece shown to the left. For more of Joan’s incredible work in paper, check out her website: www.inthefold.com.